We don’t have much content from Galway on Brand New Retro so happy to include these scans of the Philosophers who met in UCG. All the above pics scanned from 6 different issues of New Spotlight from 1969 when the magazine ran a weekly feature called ‘Meet the Philosophers’. were there any proper bands in Galway at the time,i.e.beat and psychedelic or even rockabilly bands-in otherwise anything not SHoWBAnd,country and western,non original.even folk bands??? 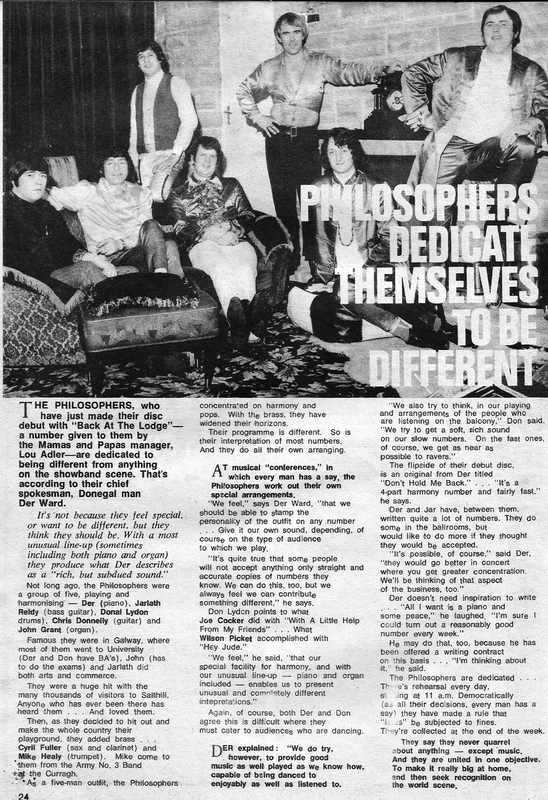 Just the Philsophers, Gerry, who were 10 years ahead of the whole UK new romantic scene! !